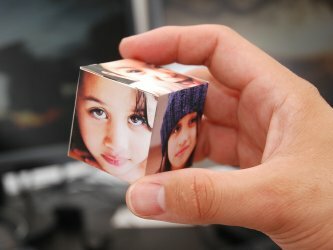 Instructions for constructing a unique paper cube with your own photos on each side. Save the template to your computer. Save the image somewhere on your computer where you can easily find it (the desktop is a good choice). Print the template. 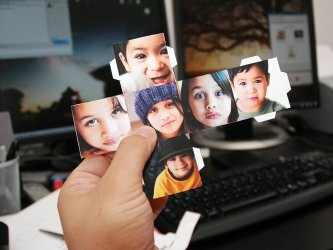 Print it however you normally print images. Any size will do. 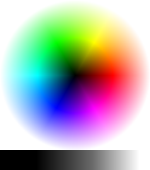 The template was designed to print full-size on 8.5x11" paper. 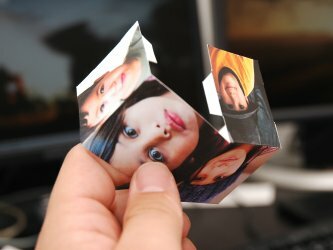 You may be able to just select an option like "full-page photo print" when you print. Best results with heavy paper (like matte photo paper, for instance). Cutting and folding. 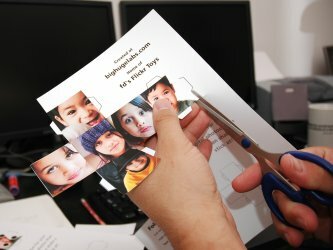 Cut out the cover using a knife or scissors. Make sure you retain the flaps. Then crease each edge to make gluing easier. Construction. Glue or tape the tabs inside of each side. It's easiest to fold and glue the long strip first and then glue up the edges.